Blending cutting-edge practices with advanced infrastructure, at Metclouds we deliver high-quality, highly-functional native-like hybrid apps for all major mobile platforms like Android, iOS, and Windows. Our end-to-end solutions provide to cover your distinct requirements from every angle. Having delivered grand results to clients over the course, our swift approach includes combing the power of HTML5 with various frameworks like PhoneGap, Xamarin, Framework7, and more. 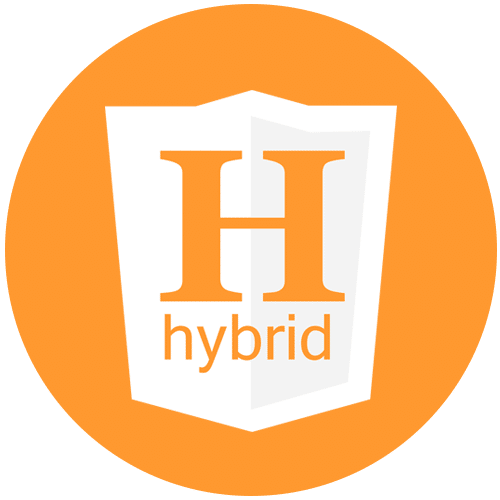 Save time and cost with native-like, cross-browser compatible hybrid application that packs advanced features and marvel in abundance. Give your audience a better user experience with attractive and engaging interface of your Hybrid app. Let our designing monkeys help you. Give your hybrid app a refining touch and feel with HTML5. Well-versed with every aspect of latest HTML5 coding practices, we promise you a better outcome than the best. Enjoy a perfect hybrid app with cross-platform compatibility. With one of the most popular frameworks, get a multi-functional application in no time. Suit all your hefty needs with enterprise-class hybrid app. Qualified and proficient with Titanium framework, our team builds robust applications. Have an iOS and Android hybrid app at ready in no time. The mobile HTML framework, Framework7 assures a clean and powerful custom application. Don’t settle for anything less than the best. We employ the best jQuery mobile app development experts who deliver incredible result. Streamline your business effectively with your hybrid app. The advanced functionality of our application provides seamless integration with other tools and activities. We believe in going hand-in-hand with clients till the very end. Stay away from all the hassle. Let us maintain and administer the hybrid app with our 24/7 support. At Metclouds, we bet on the best infrastructure and cutting-edge practices. We have a team of challenge-loving professionals and experts who love to stay ahead of every trend. From adapting to new frameworks to taking up new development approach, we’re always up to inch beyond the thresholds. Our top priority is Users’ Experience. And this is one of many things that separate Metclouds in the large crowd of competition. We don’t mind walking an extra mile or two to not only provide you 100 percent satisfaction but also your consumers an enriching experience. Give your customers the choice to go offline and save their data without cutting back on their app usage. We develop hybrid apps that run even in offline mode. They are fully optimized to provide optimal performance in poor to no network connection. Metclouds shapes its solution around the unique requirements of clients. Not only we make amazing hybrid apps but also assure you have no hassle in administering it. Our technical team provides 24/7 support in managing and maintaining the app.